I spent a couple of weeks in Mozambique recently to review our energy services social enterprise, VidaGas, that provides much-needed propane to hundreds of rural health centers throughout the north of the country. VillageReach owns the for-profit business in partnership with Oasis Fund and FDC. I was joined by two MBAs, Alexandra Fallon and Deborah Hsieh, from MIT’s Sloan School of Management who are enrolled in an intriguing course. ghdLABs, developed by Anjali Sastry, is focused on assessing opportunities to improve healthcare delivery through changes in management, engineering and systems. See here and here for background on the course, which includes links to blogs from Deborah and Alexandra about their experiences. The students have been assisting with our plans to help build a longer business outlook for VidaGas and also to measure the social benefit the company provides. Both efforts will be important in helping attract additional capital for the company in the coming years as it continues to grow and further support the public health system. When VillageReach first started its work to improve the last mile of delivery capacity in Mozambique’s Ministry of Health, we realized a critical gap in energy supply was affecting the performance and economics of the cold chain, and in turn limiting the ministry of health’s ability to store and distribute vaccines. VidaGas was established to address this lack of reliable energy supply. Since its founding in 2002, the company has progressively expanded its operations to serve more and more health centers and communities. In the past two years, the growth rate has accelerated, due in part to a critical investment made by Oasis Fund. 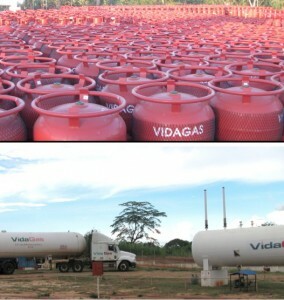 The additional capital enabled VidaGas to step beyond its presence in Cabo Delgado Province in the northeast and establish additional filling and storage facilities, greatly increasing the addressable market for propane sales. By the 4th quarter of this year, VidaGas will be operating in all four northern provinces from an operational base of three filling plants in the cities of Pemba, Nampula, and its newest facility in Mocuba. More on Mocuba below. Operating VidaGas as a business instead of a charity addresses the critical requirement for a sustainable supply of energy for the health system. The majority of Mozambique’s population in the north resides in remote villages with no electricity and little access to transport and communications services. Health centers in these communities need a reliable supply of energy for refrigeration, lighting and sterilization in order to provide even basic medical care. To ensure its service to the health system is sustainable, VidaGas supports this social mission by selling gas to a variety of enterprise customers: restaurants, hotels, small factories, plus a growing retail network and several urban hospitals. 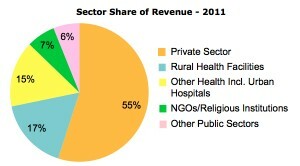 Here’s the share of sales across these categories for 2011 – rural health centers represent only 17%. The message is that without the private sector revenues, the company would not have the resources to support its obligations to the health system. VidaGas’ social benefit isn’t limited to the benefit it provides to the ministry of health. Other government ministries use propane for their facilities and a growing number of households are buying the gas for cooking, reducing the use of charcoal and wood that produce harmful indoor pollutants. Reductions in biomass consumption also contribute to limiting the rate of deforestation. We’ve been at this effort since 2002. As VidaGas sales have grown, so has its reputation as a reliable supplier to the ministry of health and other customers. In 2011, VidaGas shipped more than 350 tons of propane, an increase of 35% over 2010. Now the business has identified the opportunity to supply health centers in the province of Zambezia. 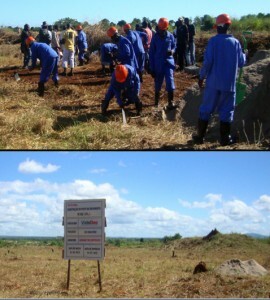 In April, VidaGas broke ground on a new facility in Mocuba City in central Zambezia, see this image on the right. Once the facility is completed in August, Mocuba will have the same 21-ton storage capacity as the Nampula facility you see below. 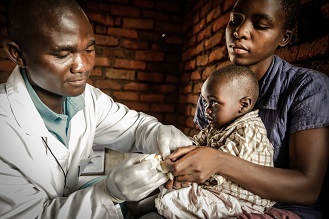 With a population of nearly 4 million and more than 300 rural health centers across Zambezia Province, we anticipate both strong demand and see an important opportunity to assist the health system. In 2012 we expect sales to increase at a significantly higher growth rate than the year before. Beyond the rural health center network VidaGas supports today are many more health centers that suffer from unreliable energy supply. To expand its social impact, VidaGas must scale further: in the future the company will require additional capital in order to invest in new facilities, equipment and personnel. Attracting investors is inevitably a challenge, even as the social enterprise industry matures and encourages more socially conscious investors. Our work with MIT will help support VidaGas’ future growth, helping us prepare a more robust strategic outlook for the company and producing an evaluation of anticipated financial and social returns for investors. As this review progresses, we’ll write more on our views of VidaGas, so look for additional reports on the company’s milestones and prospects for the future.